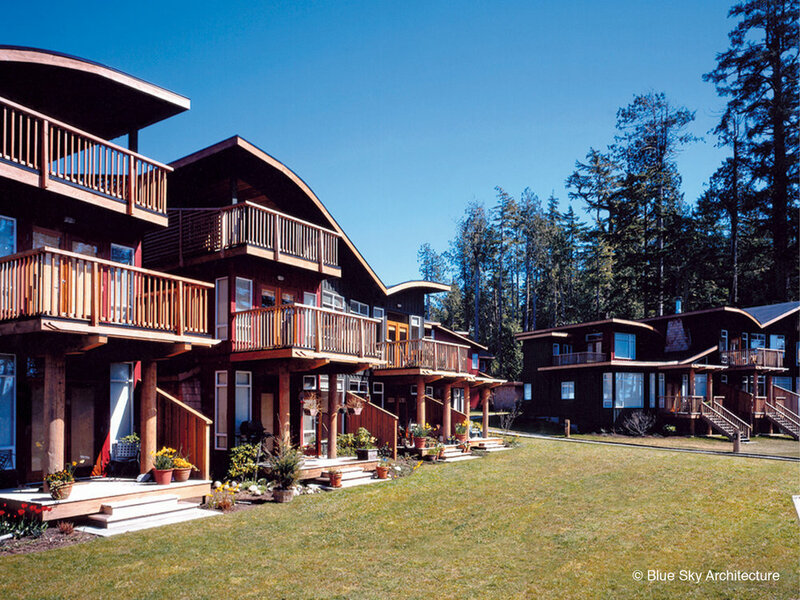 The clients fell in love with a stunning piece of Hornby Island land, high above Tribune Bay with ocean views to the south and west, and forest views to the east and north. They wanted a custom holiday home that would suit their varied interests, from practicing Tai Chi in the forest, to large gatherings of their close and extended family. The site is sheltered form the heavy southeast winds by land mass and trees that hug the cliff edge of the property. The island residence is a continuation of a bath through the forest towards the cliff edge and views particularly to Mount Arrowsmith of Vancouver Island. As one approaches the living/dining room, the roof rises up to embrace the tall trees of the forest. The window wall in the main spaces in incredibly light, giving the impression of being in an outdoor shelter. The clients refer to this house as an ideal form of camping. The upstairs loft is a place for meditation. 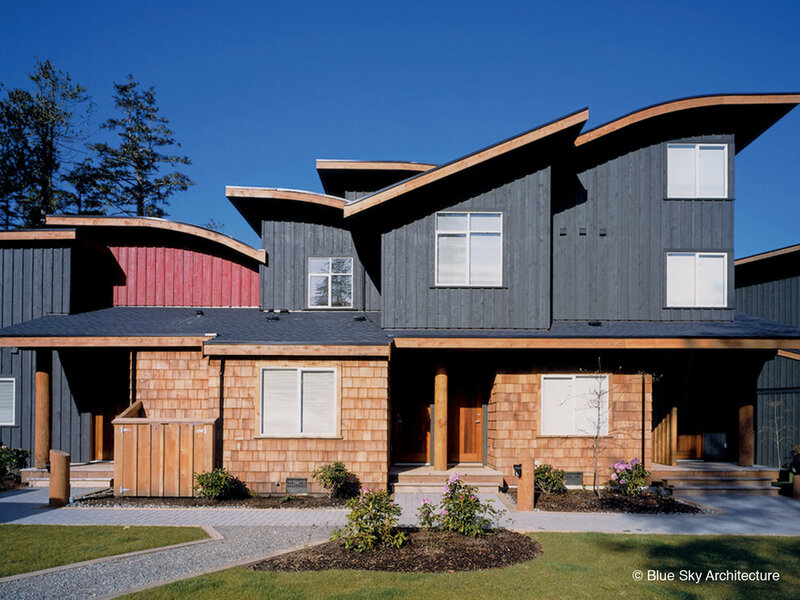 All of the finish materials chosen are natural; the Douglas fir, grey slate, and yellow cedar are enduring and together they are serene. The house is a refuge in the forest; a place to reflect, to read, to meditate, to entertain, to gather family.